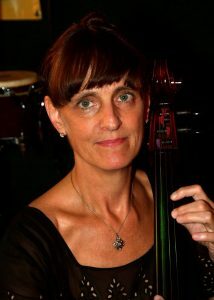 Cheryl Lindley is the first Executive Director of the Maui Pops Orchestra. Having served as our Administrative Assistant from July 2013 – June 2017, she demonstrated a passionate dedication to the Maui Pops Orchestra and is excited to help move the organization to ever-higher levels of service to our community. She continues to serve as our Principal Cellist, as well. Ms. Lindley’s employment history includes a variety of positions in both non-profit and for-profit industries. Most notably, she served ten years in management for the Everett Symphony Orchestra in Everett, Washington, most of that time as Operations Manager. Duties included all aspects of orchestra management, including all accounting functions, development/fundraising, concert production, guest artist contracting and hospitality, ticket sales, event planning, and much more. All this while also serving as the orchestra’s Assistant Principal Cellist.